From the creators of "Ice Age" and Rio comes the most love-a-bull family comedy of the year. Ferdinand (John Cena) is a giant bull with a big heart. After being mistaken for a dangerous beast and torn from his home, he rallies a misfit team of friends for the ultimate adventure to return to his family. 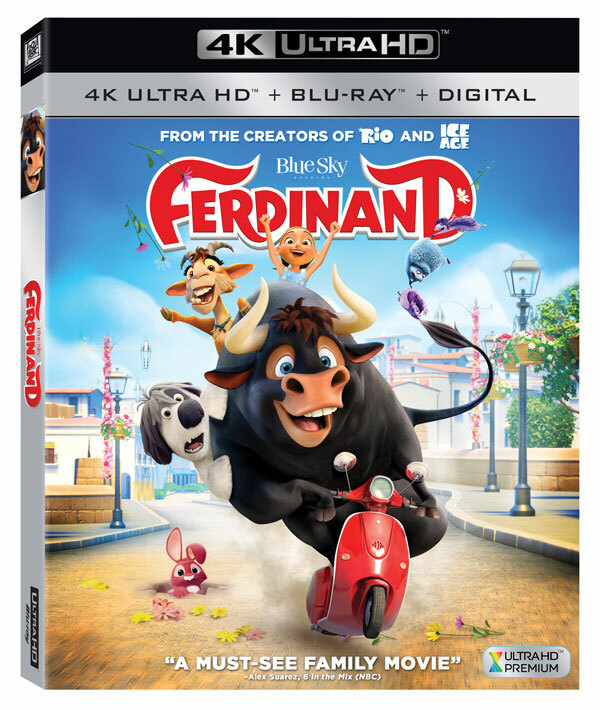 Based on the classic children’s book, "Ferdinand" proves you can’t judge a bull by its cover. Twentieth Century Fox Home Entertainment, LLC (TCFHE) is a recognized global industry leader and a subsidiary of Twentieth Century Fox Film. TCFHE is the worldwide marketing, sales and distribution company for all Fox film and television programming, acquisitions and original productions as well as all third party distribution partners on DVD, Blu-ray™, 4K Ultra HD, Digital HD and VOD (video-on-demand). Each year TCFHE introduces hundreds of new and newly enhanced products, which it services to retail outlets and digital stores throughout the world.